As I write this in Tel Aviv, Israel we are actually wrapping up a pretty epic adventure. We’ve been here for just under two weeks with Jacob – his first transatlantic trip (although not his first overseas trip!) – and our first major trip since our Alaska babymoon. It had been my intention to blog regularly during our time here, but unfortunately we ran into a few roadblocks. Traveling with a baby is always complicated, and often there are unforeseen obstacles. After a pretty flawless experience getting to/from Jamaica, we were emboldened to get really aggressive and hit an entirely different hemisphere with him. We figured he would sleep for a significant portion of the (10+ hour!) flight, and that if he didn’t we would just entertain him with his favorite videos and everything else we’ve seen parents do on flights we’d been on. What we didn’t count on was that he would get sick. Air travel – especially long air travel – is generally a miserable experience. Our flights to and from New Zealand (and Tahiti on our honeymoon) were marred by pretty constant turbulence. Going across the Atlantic, in my experience, has generally been less bumpy than the Pacific so I felt pretty good about the flight. Still, anytime you’re cooped up in a glorified tin can with wings for over 10 hours you’re pretty much going to have a bad time. Unfortunately for our baby (and us, and everyone else within 10 rows of us), unbeknownst to us, Jacob came down with a double ear infection on the eve of our departure. And then got on a plane. With pressure changes. Suffice it to say, he did NOT sleep for “a significant portion” the flight, or really much of any of the flight. The poor guy basically cried the entire way here. When we got to Tel Aviv, we unloaded our stuff at our AirBnb and immediately took him to a doctor, who prescribed antibiotics and a bunch of other medicines. Effectively our first few days here were completely shot and for the first week we had to deal with various medicine applications, nebulizer treatments, and an extremely unhappy baby. But eventually he started feeling better, and we decided to make the best of the time we were given here. After a few days Jacob was doing way better – and so were we! So after a rocky start, we ended up going to Jerusalem, taking him on a safari drive, visiting family we hadn’t seen in five years, and taking him on his first real live road trip! For the first time in his life, Jacob saw ancient ruins, mountains, deserts, an incredible crater that looks like the Grand Canyon, and the land of his forefathers. He also really blossomed into a real member of our little traveling party. The Ramon Crater, one of my favorite places in the world. Of course for Ariel and I, this was a completely different experience than previous adventure travel. Whereas we were always able to just get up and go wherever we wanted, having a baby involved meant working around two daily naps, a 7:30(ish) bed time, three meals and three bottles a day, snacks, diaper changes, and entertainment on drives lasting longer than 10 minutes. In fact, Jacob had never been on a car ride longer than an hour, but during our trip to the Israeli desert (the Negev) we had three car rides in 24 hours that were each longer than two hours! Also, whereas in the past, we rarely stayed in the same place for more than one night, moving around with a baby means……..bringing diapers and baby wipes and the noise machine and the baby monitor and bedtime books and snacks and pouches and so many things that it really makes the most sense to find a base camp and take day trips from there as opposed to moving around a lot. Still, we did manage it, and while it was a new experience and we certainly made some silly tactical errors, I feel pretty good about doing road trips with a baby in the future. Jacob comes face to face with with 3,000 years of his history. 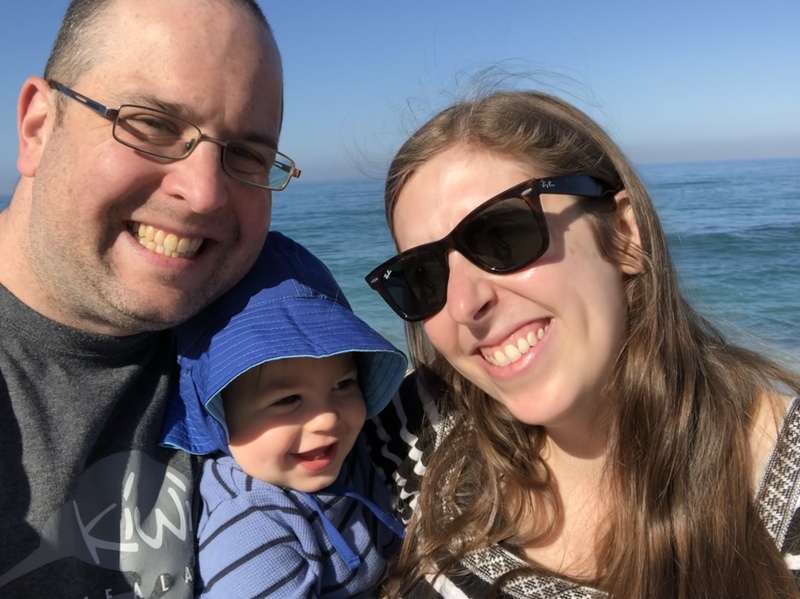 And whereas on past trips I could take a couple of hours every few nights and put together a blog post, when traveling with a one year old, settling down for the evening is a whole process. By the time we go through his entire bedtime routine (even when he’s healthy let alone when he’s sick!) we’re so finished, there’s just very little opportunity to compose my thoughts into a coherent narrative. A lot of this had to do with how tough the first half of the trip was, with him being sick (which oh by the way Ariel and I caught it too! Naturally!) completely throwing me off my game. But even once he was better, it was hard to get into the groove, until literally the last night of the trip. Exploring the Nabatean ruins at Avdat National Park. So! It certainly has not been all pony rides in May-sunshine on this adventure, but that’s kind of par for the course! We don’t do vacations really, we do adventure travel. It’s just that this time, the challenges often came from within the travel party as opposed to from the outside. And they were… not really so great. We learned a lot though, and grew a lot as a family and traveling party. And the positive experiences we had far outweighed the tough times we had by far! 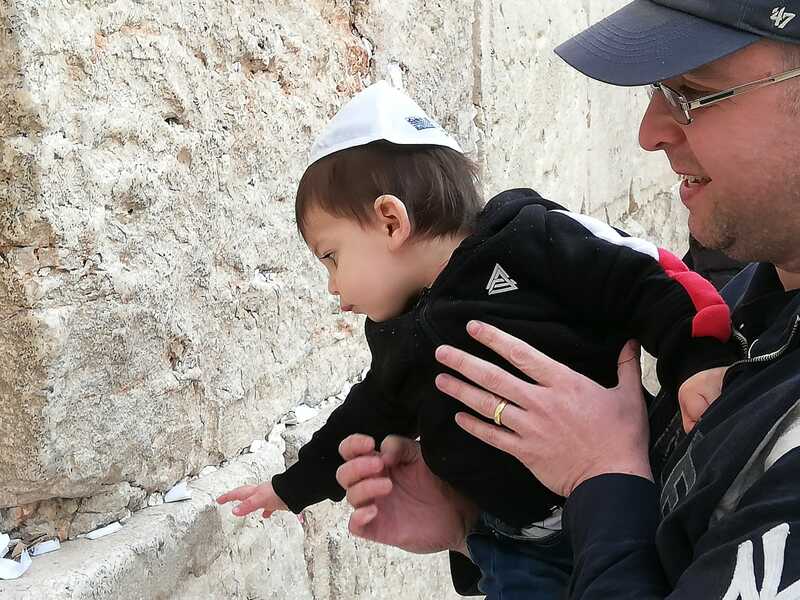 Once we’re settled back in, I’m hoping to catch up with lots of details of where we went and how Israel is an extremely baby-friendly country in general, and Tel Aviv specifically is a great place to come with little guy (or gal) of your own!